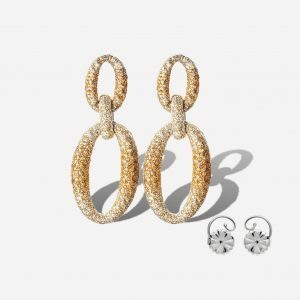 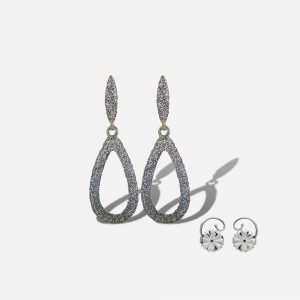 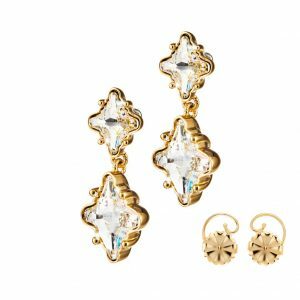 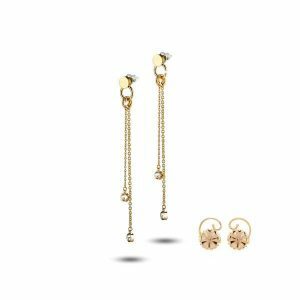 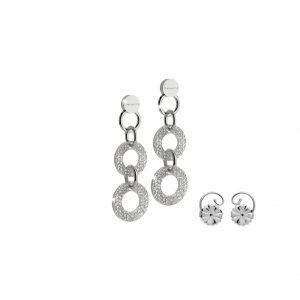 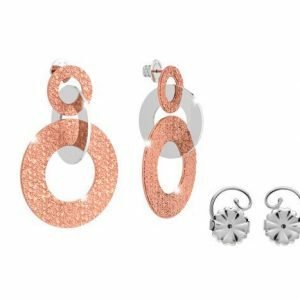 Italian designed and crafted from rhodium-plated bronze, these earrings are perfect for day or night with just the right amount of sparkle. 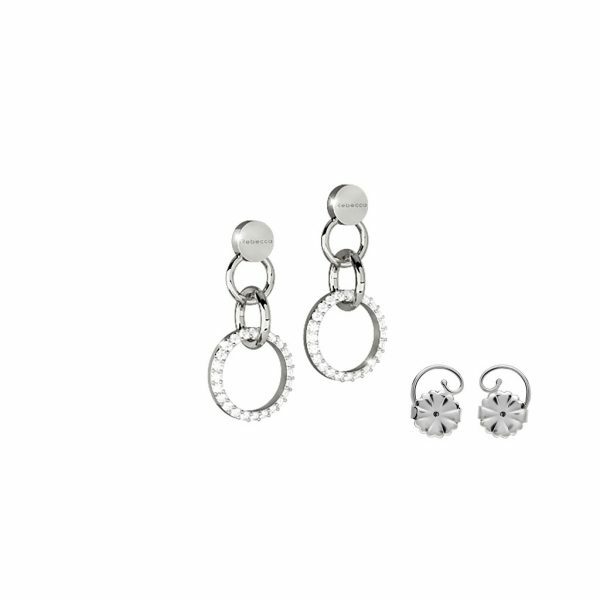 Paired with sterling silver Levears to keep them in place and lifted to perfection. Measure 1.1″ in length.